Very simple, but to the point. Soft, crunchy, chewy and cold!!!! 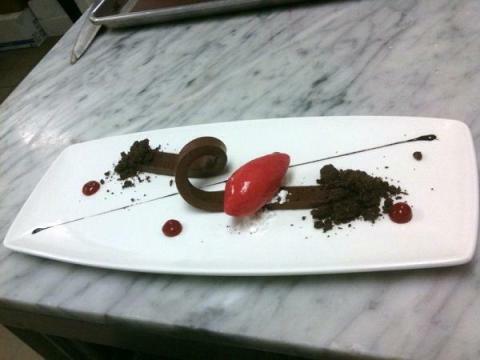 Chef Antonio Bachour's favorite part of this dish was the Soft Chocolate Ribbon Ganache. It's served with dark chocolate cookie crumble and freshly made raspberry sorbet.